Vote forMarysville, VICTop Regional Destinations Which are Australia's must-visit destinations? You help us decide. This verdant, greenery-draped slice of the greater Yarra Valley region is renowned for its blend of pristine natural highlights and overall sense of tranquility. Marysville is a land of ferny gullies intermingled with towering trees and a number of gorgeous waterfalls all which make it a popular regional destination. For those looking for a getaway from the hustle and bustle of Melbourne to immerse themselves in secluded greenery, there are few better destinations that are reachable within a reasonable timeframe than Marysville. An excellent destination of choice for those who are able to appreciate the simple pleasures of taking a stroll amongst nature, breathing in incredibly fresh air, and focusing on a vibrant tapestry of natural highlights, the historic town and its surrounds has plenty to offer. The town is something of a paradox in that it has a strong historic leaning yet its architecture is almost entirely ultra-modern after it was unfortunately hit hard by bushfires back in 2009. This works in the favour of current travellers, however, as its accommodations are universally up-to-date and serve as a great hub for getting out and exploring its varied mixture of greenery, dining and native wildlife. Marysville is famed for its waterfalls, with several visually enticing examples highlighted by the stunning Steavenson Falls. This fall has been augmented by recent efforts of local authorities post-fires to be made even more accessible, with upgraded paths and viewing platforms providing some great up-close views of its cascading waters. The area surrounding the falls is also wonderfully landscaped, and its viewing platform allows for a face-to-face look at the falls in action. In addition to its obvious natural drawcards, Marysville is home to another range of benefits and highlights as well; its acclaimed Bruno's Art and Sculpture Garden created by talented artist Bruno Torfs blends together the simple beauty of nature with a dash of human passion and imagination; it's home to numerous excellent walking trails that cover a range of scenic highlights; and wildlife such as wombats and lyrebirds can be found in abundance here. Marysville's B&B's and boutique accommodations also shine through, with plenty to choose from which make for some wonderfully quaint and cosy getaways from Melbourne. Add in some great dining options including restaurants, cafes and produce fresh from the markets, and you've got a highly enjoyable overall package wrapped in greenery. Looking to pay a visit to Marysville but not sure what to do? Here are some of the most essential experiences. 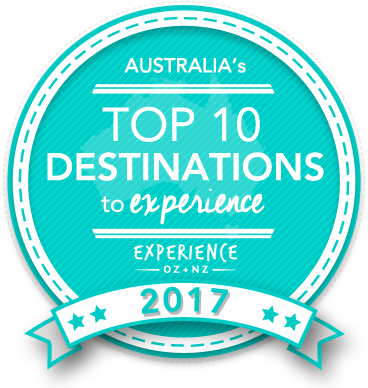 Is Marysville Australia's Top Regional Destination to Experience for 2017? Vote now for the chance to WIN an epic trip to one of Australia's top destinations!